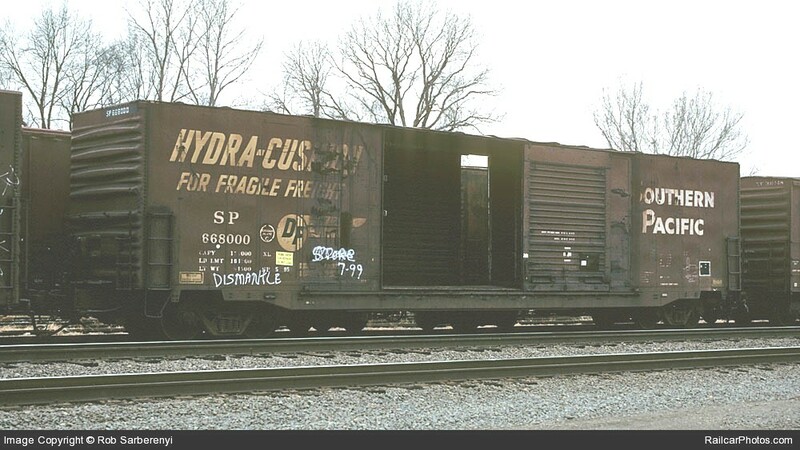 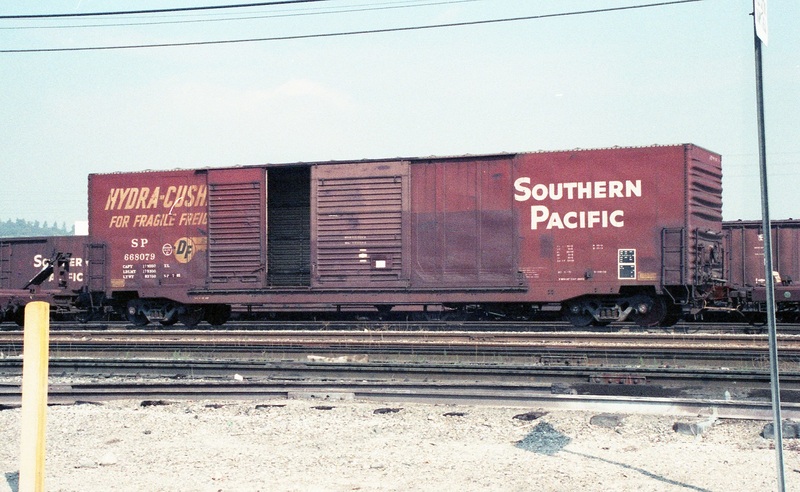 These 60'-10" hi-cube, loader equipped box cars were built by AC&F in 1972. 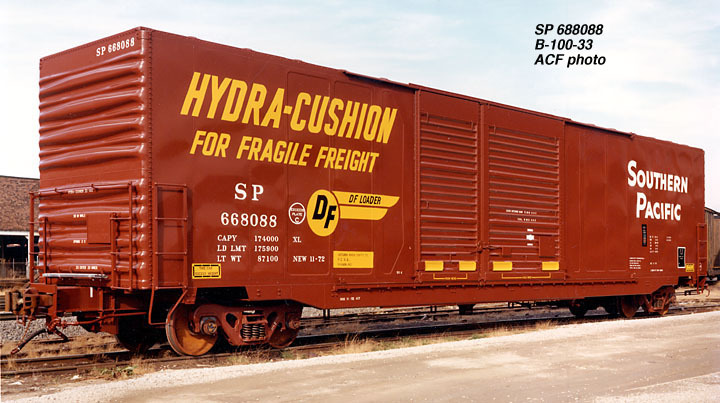 They featured 6504 ft3 capacity, cushion underframes, DF loaders and a 16'-0" door opening. 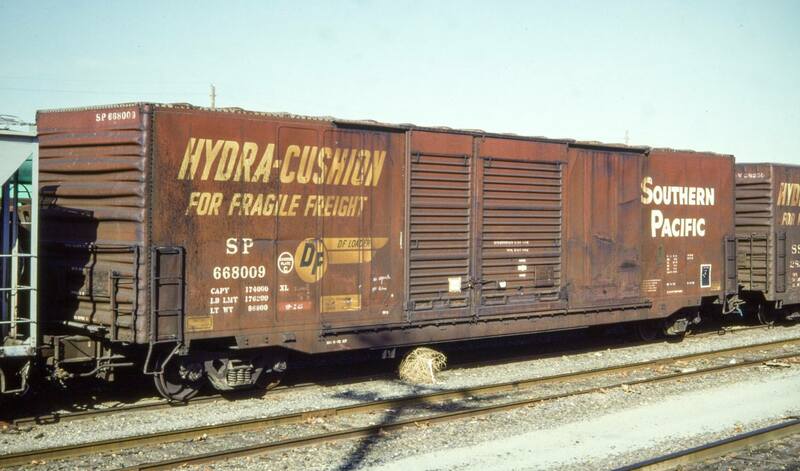 Do not confuse these cars with the B-100-3 class (SP 668000-668049) which had been re-numbered by the time these cars were built.